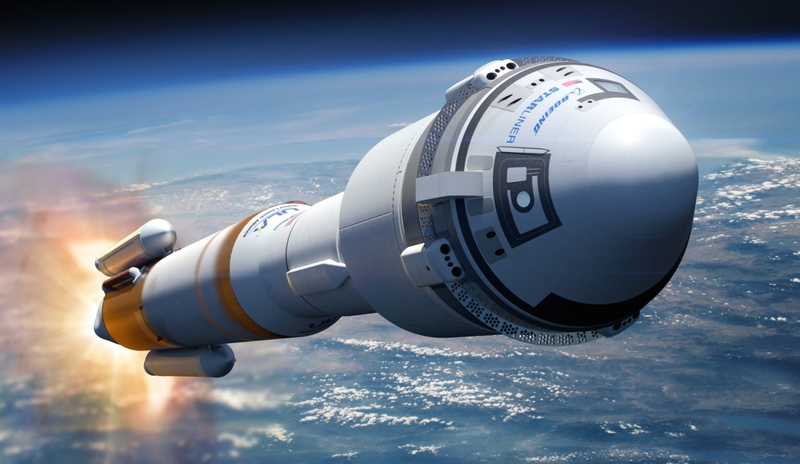 United Launch Alliance (ULA) has completed the Design Certification Review (DCR) for the Atlas V upcoming role in launching Starliner spacecraft later this year. 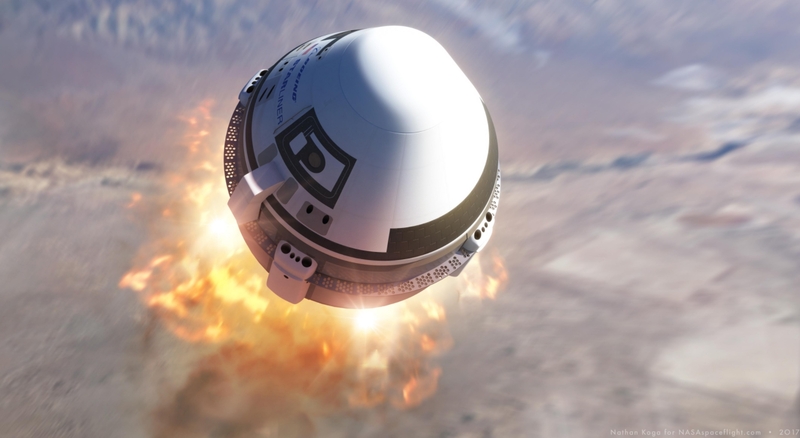 Starliner is set to conduct a maiden flight into space during an uncrewed test flight (Orbital Flight Test – OFT-1) as early as August. Part of the tag team effort with SpaceX’s Dragon 2 that’ll return US independence for crew launches, a capability lost when Atlantis landed at the conclusion of STS-135 in 2011, Starliner’s role will be to safely launch and return NASA astronauts to and from the ISS. 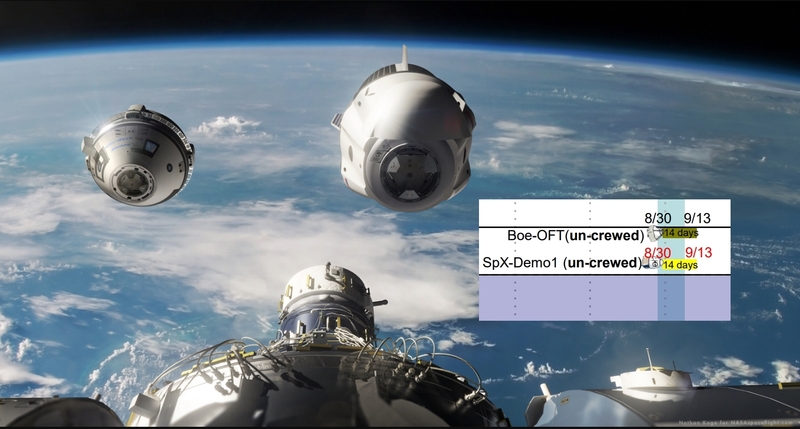 According to the latest long-term International Space Station (ISS) schedule, known as the Flight Planning Integration Panel (FPIP) document (L2), both the Boeing and SpaceX Commercial Crew test missions are showing a work to date of late August 2018 for uncrewed test flights and year-end 2018 for crewed test flights to the orbital outpost. All the flights are two weeks in length. These dates will obviously undergo further changes during the year as the companies and NASA work to ready the vehicles for flight. Official SpaceX will fly first, in the second quarter, which still makes sense as it would free Boeing to take the August slot. The planning documents also show the potential for Commercial Crew flights in April and May 2019 (one each for SpaceX and Boeing) with only two astronauts on board each flight. Those missions would depend on the vehicles being certified in time. The first Commercial Crew mission that is shown as part of the regular crew rotation has a placeholder in November of 2019, carrying three crewmembers to the US section and one Russian crew member. At this point, the US and Russia would begin alternating crew flights with each sending two flights per year. Getting to that point still requires a smooth test program for both commercial crew vehicles, with the maiden flight into space providing one of the biggest opportunities for SpaceX and Boeing to tick all the required certification boxes ahead of NASA green lighting flights for its astronauts. 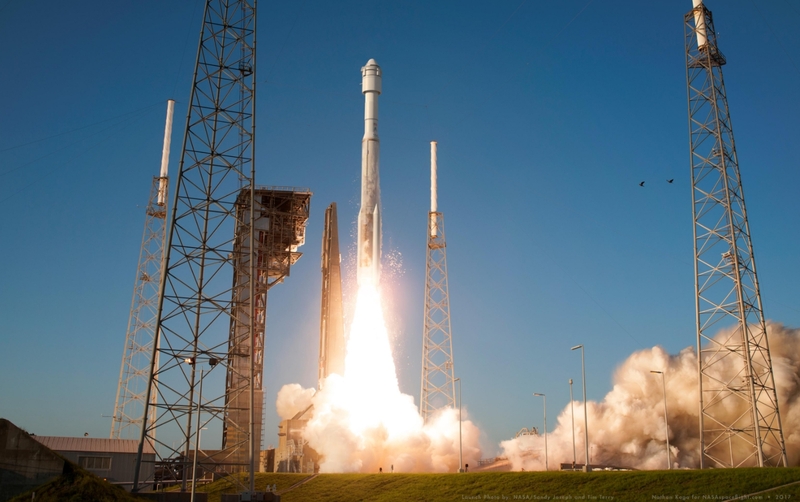 While SpaceX will be making the relatively small leap in launching Dragon 2 on its Falcon 9 rocket, a duo that has worked well with Falcon 9’s lofting of the cargo Dragon spacecraft, Boeing has employed the services of ULA’s Atlas V rocket. Atlas V has already proven her worth on cargo missions, having substituted for Antares during three missions to loft the Cygnus spacecraft to the ISS. Atlas V has a 100 percent mission success rate, making her one of the most – if not the most – reliable rocket on the planet. As such it has come as little surprise that Atlas V has passed her Design Certification Review (DCR) for the upcoming role with Starliner, as confirmed by ULA on Thursday. “Design Certification Review is a significant milestone that completes the design phase of the program, paving the way to operations,” said Barb Egan, ULA Commercial Crew program manager. Launch vehicle production is currently on track for an uncrewed August 2018 Orbital Flight Test (OFT). The Atlas V that will launch the first Starliner mission is AV-080. The OFT booster for the uncrewed flight is in final assembly at the factory in Decatur, Alabama, and the OFT Centaur upper stage has completed pressure testing. Other hardware such as the launch vehicle adapter and aeroskirt production are on schedule to support test articles and flight, the company added. “ULA is progressing into the operational phase to launch the OFT and Crew Flight Test in 2018, and we are pleased with the progress we’re making toward a successful launch of Boeing’s CST-100 Starliner on the Atlas V,” said Gary Wentz, ULA Human and Commercial Systems vice president. The review for Atlas V was part of Boeing’s International Space Station (ISS) DCR that was held with NASA at Kennedy Space Center in early December. Several Starliners are currently in production at KSC, inside a former Shuttle Orbiter Processing Facility (OPF), now known as the Commercial Crew and Cargo Processing Facility (C3PF). 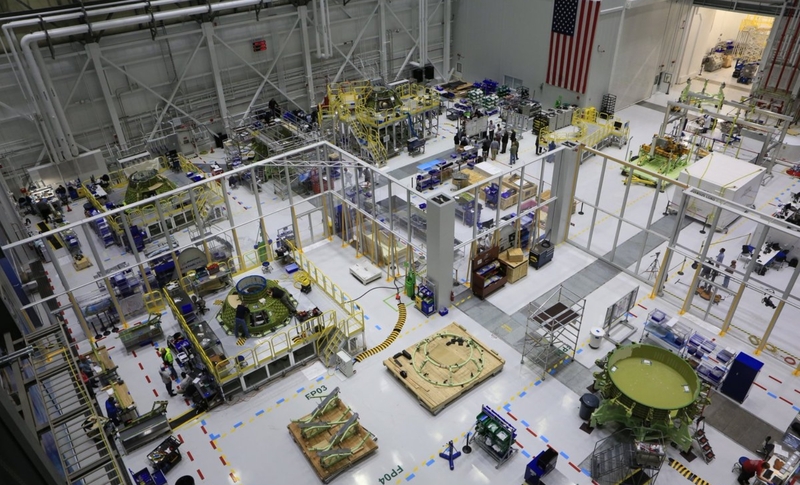 Along with a test article that is being used to create a roadmap for the assembly and checkout procedures, Spacecraft-1, Spacecraft-2 and Spacecraft-3 are all in various stages of production ahead of their upcoming missions.